The Coastal Carolina CHANTICLEERS were one of the ESPN Bracket Projections I was tasked with writing. From everything I saw, you couldn’t build a better match-up for Wisconsin. Though because of the pace and style the Badgers play, it won’t get out of hand fast. This will be the slowest 35 point victory ever. Prediction: I’m fully expecting something like Badgers 65, Chanticleers 29. Oklahoma State got lost in the shuffle of the difficult Big XII, but the Pokes are no joke. Led by the interior play of LeBryan Nash…er excuse me, FUTURE SIXER LeBryan Nash, and the sharpshooting Phil Forte, the Cowboys are well balanced and experienced. Prediction: EAST COAST BIAS won’t allow me to pick a West Coast team seeded higher than 5th. 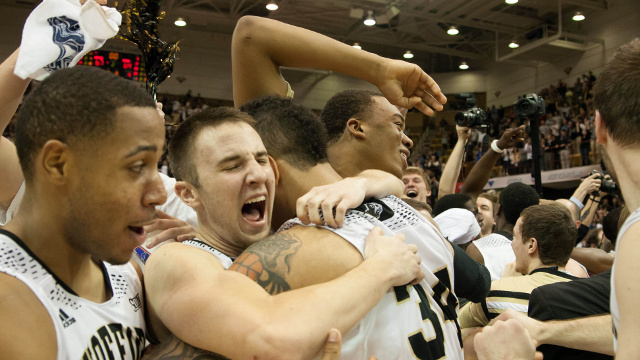 Not just a pick based on seeding, Wofford comes to play. The Terriers play a deadly slow pace that I think will frustrate the Hogs. Prediction: If they hold Bobby Portis in check, I’ll take Wofford. 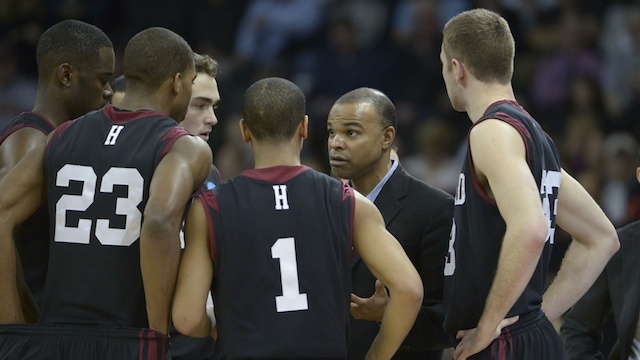 As I mentioned, before the match-ups I was fully ready to take Harvard to win their first game. Then they drew the Tar Heels and I had second thoughts. I’ll stick with the Crimson. Wesley Saunders is everywhere on both ends of the floor and surprisingly, Harvard has the athletes to hang with North Carolina. Whew! How about that Ole Miss-BYU game? That was as fun as college basketball gets. 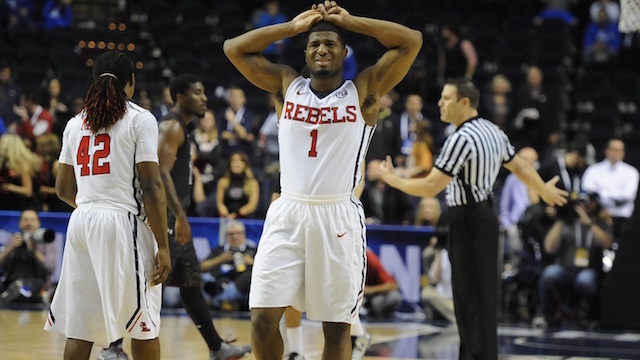 In fact, the Rebs might just keep rolling. Since the first four has begun, teams advancing have been very successful after playing in Dayton. Prediction: Ole Miss moves on. RJ Hunter and Ryan Harrow both average more than 18 points and 3 assists for Georgia State. 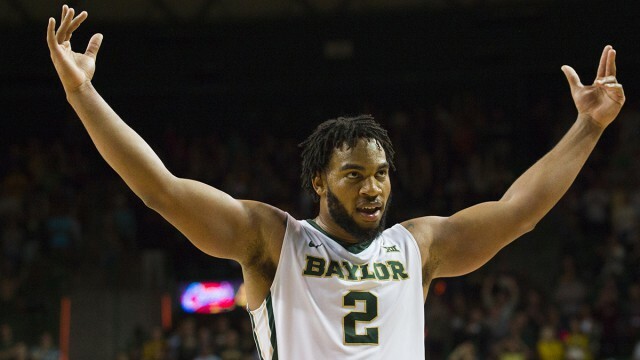 Even if they don’t have an answer for Rico Gathers inside, the Panthers will keep in fun. 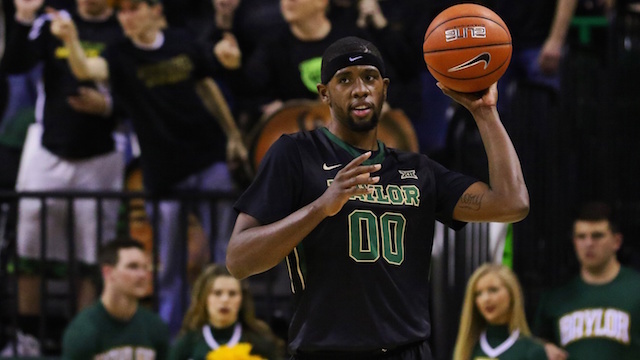 Prediction: Baylor, but closer than you’d think. Be prepared to hear about the sad story of Briante Weber during this game. 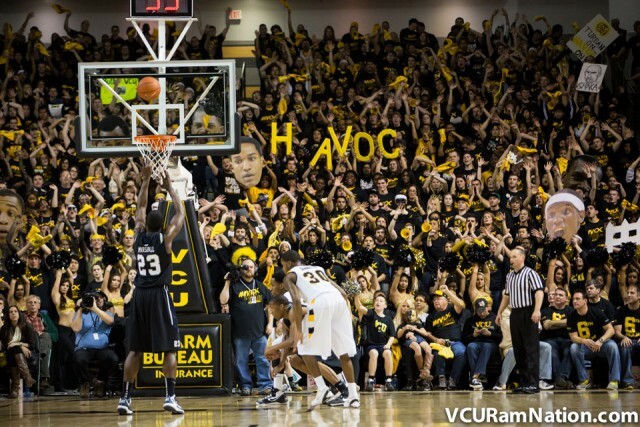 The VCU senior was 12 steals away from the all-time NCAA record before tearing his ACL, ending his career. The Rams aren’t the same without him. D’Angelo Russell is too good to not play two games, even with “Havoc” in the first round. Prediction: I’d worry about a lot of coaches trying to prepare for the VCU press, but Thad Matta isn’t one of them. Buckeyes in a tight one. Texas Southern is going to get smoked in this game, but they deserve some props. The Tigers played the 9th hardest non-conference schedule this season. They won at Michigan State and at Kansas State. They’ve won 11 in a row. Great! 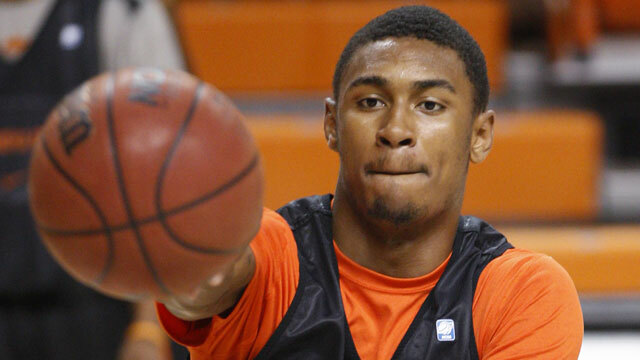 Gathers is a beast, but I feel like the only thing I’ve heard or read about him are the dumb puns I’ve made up about his name. The guy is a monster on the boards (4th in the nation in rebounds). He is going to wear out your big men. You’d better have a deep frontline to beat Baylor. There may not be a team more capable both losing in the first round and making the Final Four. Only 1 of the 9 teams they lost to this season is not in this tournament (Pitt, but they also lost to Duke and Notre Dame twice). In total, they are 9-10 against teams in the field. That’s a fairly impressive mark against such a tough schedule, but I can’t escape the lasting image of the Tar Heels’ regular season: a clogged toilet possession on their final chance at Duke. Marcus Paige does certain things and I like Brice Johnson. After them, there are guys who have skills, but none who can or will take a big shot late in a close game. Both of their teams draw their greatest advantage from the style of play they bring to the game. 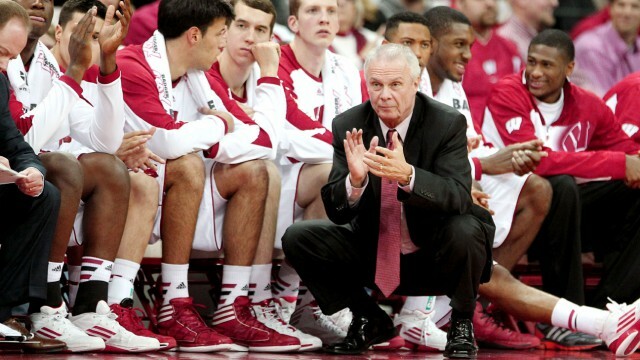 For example, Bo Ryan is great with in-game adjustments, but his greater contribution is the offensive discipline his players have learned under him. Shaka Smart is the same, except the exact opposite (defense and speed instead of offense and patience). Old friends who may meet up in the second round. That game would be a chess match, with Matta starting without a rook, both bishops, and the rope from Clue instead of a knight. None? Gosh, why did they have to put Tom Crean and Rick Barnes in the same region. 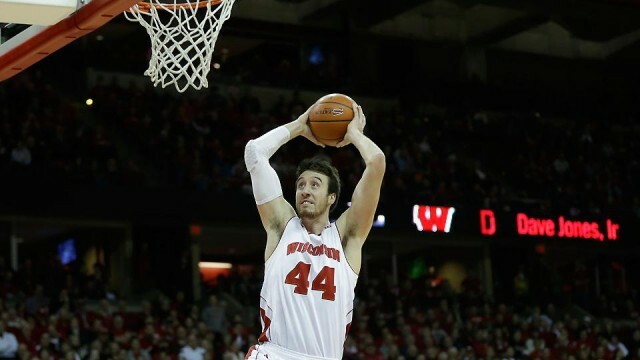 Frank Kaminsky (Wisconsin) – What’s his floor? I’m much less concerned with his ceiling than I am with his floor. A more skilled Spencer Hawes, right? That’s worth a mid first round pick in my book. Sam Dekker (Wisconsin) – Dekker on the other hand has a much larger range of possibilities. His timid offense game and less than inspiring defense could lead to a short career. His size, athleticism, and skill could make him the perfect third banana for a competitor. 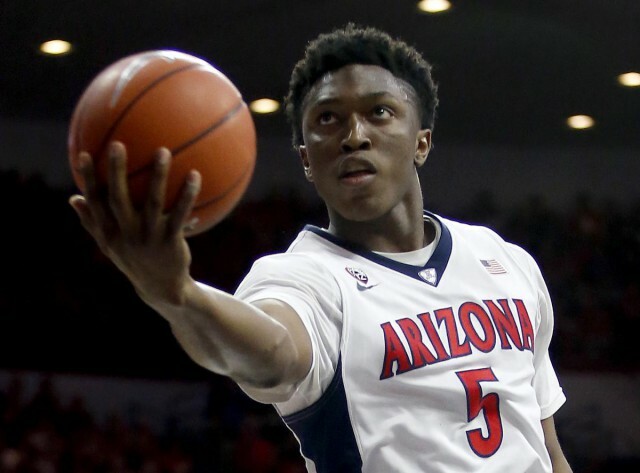 Stanley Johnson (Arizona) – I love Stanley Johnson. I’m already mad at NBA teams for some of the players they will pick over him. Bobby Portis (Arkansas) – Bobby is flying up draft boards, but I can’t say I fully understand it. I think he’s a tweener at the next level. In fact, I think his game pretty closely resembles what Anthony Bennett did in college. 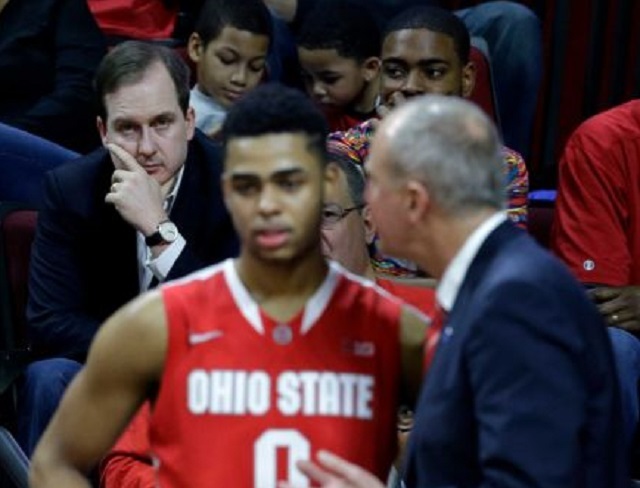 D’Angelo Russell (Ohio State) – If the Sixers draft Russell, I’m buying his jersey, season tickets, and the apartment across the hall from his so we can be best friends. Will we get to see Arizona-Wisconsin? In fact, can anyone but those two teams reach the Final Four from this region? I can’t wait to regret this as Harvard plays Georgia State in the Elite 8, but I really have a hard time seeing anyone but the top two seeds advancing here. Georgia State’s coach (and father of their best player) tore his Achilles tendon while celebrating their conference championship. Xavier’s Matt Stainbrook is an Uber driver. Have jokes about “Surge pricing” ready when the Mountaineers go on a run. Wisconsin – The best player on a team of perfect role players. Dekker and Nigel Hayes can step up when they need to. Josh Gasser is a lockdown defender. Bronson Koenig has been incredible. Traevon Jackson’s return is more for depth than to bolster their starting line-up. Arizona – So good at all five positions. Only Villanova can really compete with their balance. They are 19-0 against the RPI top 100. The field? – My heart wants a Badgers-Wildcats game in LA so badly that my brain is convinced it has to happen. If Arizona or Wisconsin fails to live up to the bargain and loses before the showdown, whichever is still standing would be a huge favorite over Cinderella.